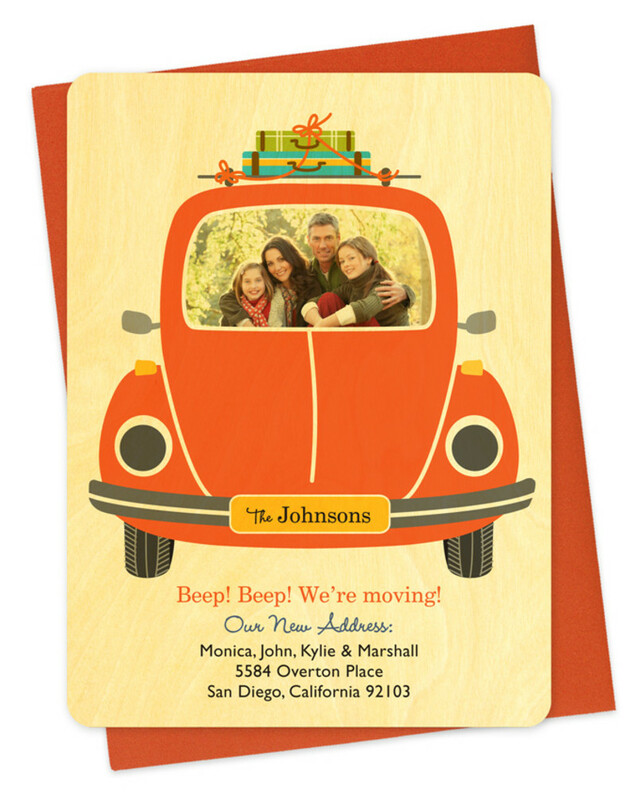 Personalized moving announcement printed on eco-friendly birch wood! Will you be sending us your a photo for the front? I'll be sending a photo. No, thank you. Leave that space empty.